It is no secret that I have been enamored with the Bonanzle website for several months now. For a list of some of the articles I have written in the last several months look here: TA Journal - Bonanzle. In those past articles many of the positive features of the site have been covered in depth. I just plain like Bonanzle. I am not alone with my adulation... Other sources have pronounced Bonanzle as a very appealing selling platform. While I and many others are very enthusiastic about the platform that Bill Harding and Mark Dorsey are building at Bonanzle.com, there are some aspects of the site which could be improved. Bill and Mark have done an amazing job with the site thus far and they are continuing to improve the site on a daily basis but with almost any startup there are some obvious features which can be seen from the outside, which may be missed internally. With Bonanzle the list is unusually short, and getting shorter each day. In fact, by the time you read this article, my list may be non-existent. Bill Harding is a fast developer! Invoicing and Checkout - Bonanzle must improve the Invoicing and checkout functions for merchants on the site. At this time there is no easy way to determined who has paid and who has not. Which items have been paid and need to ship, packing lists generation or pull ticket capability would be great also but the most deficient part of the sales process is the lack of invoicing capability. There is no provision in the sellers control panel to re-invoice buyers who have not paid. I realize most of the payment processing heavy lifting work is done by PayPal or Google Checkout, but unless the buyer selects those options, want to pay with a check or money order, or if they simply do not reply, there is no way to send a follow up invoice short of a direct email or message. An invoicing tool is big on the wishlist here. Better shipping options - calculated shipping and International calculated shipping (Bill, contact me if you want a great third party solution for this). Recently Bonanzle announced a new International flat rate shipping option but in today's ever changing world, flat rate shipping can be difficult for sellers to absorb cost changes which in some cases happen over night. Affiliate Program - Bonanzle has announced an affiliate program, I have not reviewed any details as yet but in any case this is a good thing. As I have written before here, I think it is essential for the growth of the site. Affiliates are the lifeblood of any successful online marketing effort, Bonanzle is no exception. Merchants on the site should be prepared to pay for the efforts of affiliates and be more than happy to contribute. 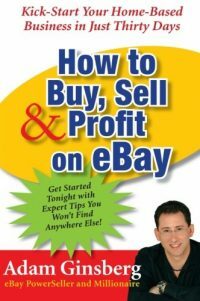 Without a strong affiliate program eBay would never have become what it has today. Please remember that. To their credit I would like to add that Bill and Mark at Bonanzle have done more in a shorter period of time to optimize the site for Internet Search than almost any other platform yet devised. The site was built from the ground up with this goal in mind. Every Bonanzle Booth owner has access to an easy Google Base upload feature and with a small upgrade subscription to Bonanzle, can use Google Analytics to optimize their booth for search. Other back end functions on the site indicate it has been built for search from the ground up and these development efforts are some of the reasons why many "experts" are very high on this site known a Bonanzle. Being found in search is a big part of the battle, but what entices today's buyer to try a new and unheard of website when shopping online? 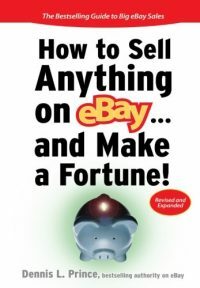 Many of us remember the stigma that was associated with selling on eBay in the early days. 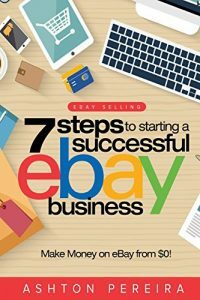 People just assumed eBay sellers were crooks or worse... eBay has shaken off much of that stigma over the years but even they have not done a great job of offering good reasons for buyers to feel comfortable with the buying process on their site. So what to do? How do we get buyers to believe? Most of this falls on the Merchants at Bonanzle - The site could provide some tools, but the buyers are doing business with the seller, not Bonanzle. Sellers must take responsibility for making the sale and following up with their customers. Offer a Coupon System - Bring first time buyers back with an auto generated, seller supported coupon system. This could be tied in with the current seller upgrades available for an additional fee. The coupons should be good for shoppers site wide, not just in a particular booth. These coupons should be easy for sellers to print and pack in shipments or to email directly to the buyer upon payment. The coupons should have definite end dates and be something unique that will inspire the buyer to return to Bonanzle. Focus on a Niche - Many new sellers start out selling online with the idea that they want to be the next Walmart or Five and Dime. Offering everything under the sun in one place online only tends to scatter your efforts to the wind in regards to search. Finding a specific and tightly connected group of products to offer, either new or used, is the best way to attract buyers who are actually looking for what you have to offer. On the recent and inaugural Brainstorming with Bonanzle Talkshoe program with AuctionWally, one caller said she was refocusing her product line of used clothing and has determined that she will sell only used plus sized women's jeans. This is an outstanding plan of action for that seller. She is familiar with the product because she has sold used clothing for some time, she has a source of supply and better yet she can offer something she knows people are looking for. Find a very tight niche and drill down to a point where your Bonanzle booth will be the number one location on the Planet for one thing or one group of things. Drive Your Own Traffic - Bonanzle can't do it all for you. Setting up shop on Bonanzle or eBay or Etsy is a fine plan but the only place where it is truthful to say "Build it and they will come" is in a Field of Dreams. Running an online store takes time and effort and most of that time and effort must be provided by the store owner. Bonanzle has provided a wonderful system to display products which takes most of the excruciating work of setting up and maintaining an ecommerce shopping cart system off the backs of merchants. Having a store with nothing but a checkout aisle and a cash register and some products is not the end of the story however. You must bring in customers. Signs, advertising, community activities like sponsoring a baseball team, are all things that B&M stores do to drive customers through their doors. What are you doing? Store owners must make a conscious decision to bring in their own customers. This takes effort and yes, sometimes an investment. I have promoted using an external website/blog to start funneling buyers into a Bonanzle booth. There are other methods of traffic generation, but I believe that without a stand alone website a business owner is not really in business on the Internet. If you do not invest in your business, you have no business! What you have is a hobby. Pay Per Click can be used, Squidoo lenses, commenting on other peoples blogs, making a Wikipedia page. There are thousands of ways to find and drive traffic to a specific location of your own determination available on the Internet. As a Bonanzle booth owner, you must find and use just a few of these methods, if you want buyers. Bonanzle is an great tool for Internet sales of tangible and intangible items. The site can not be compared with eBay because it is not similar in any way other than a very fast start. If fact, I would wager that if the growth curve of eBay from day one was compared with Bonanzle's meteoric rise in these last several months, eBay may not come out the winner. Bonanzle is just a tool though, merchants must be the crafts person, the specialist, the person in charge. As a merchant you must know how to use the tools available. Simply owning a chain saw does not make the owner into a log sculptor. Having a Bonanzle Booth does not make you into a Internet Marketing genius. Buyers need to feel safe, they need to feel appreciated and they need to find exactly what they are looking for. Give buyers what they want. There are improvements which could be made to the site and to each and every Bonanzle booth on the site (including mine). The message is that these improvements are being made by Bonanzle's Bill Harding and Mark Dorsey. What are you doing to help? How will you improve? What will you do today to bring just one extra shopper into your booth and thus onto Bonanzle? You forgot the main one though, search capability in each individual booth. Got to have it. One thing already in place that you mentioned is the packing slips. I’ll second the coupon idea and reiterate it in a way you and I discussed privately: buyers should be bribed on their way in the door. Even if it’s part of the affiliate program payment going directly to buyers (instead of 100% to sellers), there needs to be a way to give new buyers/new active registered users/etc. free money to spend. Hi there, this is Mitzi, co-host of the Brainstorming Bonanazle show, and the caller who is going to be selling plus size women’s jeans on Bonanzle. Good point Cliff – The Booth Search should be a bit more prominent. If Internet Savvy users like yourself and Henrietta could not find it, how can a casual shopper? I am just glad I looked before I published, I knew you were adamant about the need for the feature so I wrote up a beautiful paragraph championing your cause, only to check my facts later and find the search booth feature is available. Don’t feel bad though, I did not know there was a bulk upload from .CSV feature included in Bonanzle until late in the game myself. As always, thanks for your input and comments! Just FYI – invoice/packing slip has been in place since August. Selling activity > items sold> bottom right, large button. Sorry Henrietta and Bonanzle, but it is just not clear and it is not enough. I have one sale in my booth that has never completed checkout on their end. That sale is complete, but I have no way to mark it as such, or can not clearly mark it as such. I know it is a nit pick, but these tools should be included. Not all buyers will complete a checkout on their end. The seller must have these controls available. Setting up a similar feature as the Batch Edit for live items to use with sold or ended items could be a good suggestion/solution. I want to be have the ability to see at a glance what is paid, what is not paid, who needs a reminder, and what needs to be shipped. All with time reminders of how long these parameters have been indicated. Bonanzle is definitely poised to fill the niche for deals this holiday season. Re-thinking my pricing structure around the much lower fees has allowed me to lower prices across the board on my items. And sales are happening on Bonanzle, but as stated by those that are taking the time to promote their business! As I first stated when joining Bonanzle, I enjoy having control over my own business for a change! And that includes promoting it! I have been selling at Bonanzle since mid August. I am having a good amount of sales. I do agree that the invoicing system needs better functionality but I am learning day by day how to best optimize my buyers experience. I’m quite sure that the management will soon improve the checkout & invoicing system as they are always improving something! I am having FUN selling at Bonanzle where I can find Everything but the Ordinary! Until they get some Boolean capability in there the place is useless for me. I’ve given Bonanzle a fair trial, having been one of the early adopters when there were fewer than 1500 members. Conclusion? It’s not for me. I enjoy selling and making money. I like to see the fruits of my labor. I don’t get those on Bonanzle. The buyers are not coming. I disagree with your assertion that it is my job to bring them. And I’m certainly not wasting money on PPC to promote Bonanzle when the people who own the site won’t spend a penny on marketing! Recently I had a Bonanza. I was pretty astonished to discover that Bonanzas aren’t even promoted on Bonanzle’s home page; you have to look for them. I had a total of two (2) booth visitors in three hours and those were other sellers looking to get me to buy *their* stuff. Do your readers a service and point out there are other low cost ways to sell at fixed price — Yahoo Stores are a popular option and tend to get great SEO. I’ve done nothing to promote one of my Yahoo Stores and it still sells more than my worthless Bonanzle booth. I have had a Bonanzle booth for 5 months and the sales have not been to bad. They are increasing every month. I do believe that it is like any other venue, you are going to get out of it what you put into it. This is my business, so I take responsibility for the promoting of it. Just as if it was my own website without all of the hassles. Dede: It *isn’t* your own website, you know. So is that what all the enthusiasm about Bonanzle is about? Free website? As long as we’re doing hackneyed cliches, how about “You get what you pay for”?